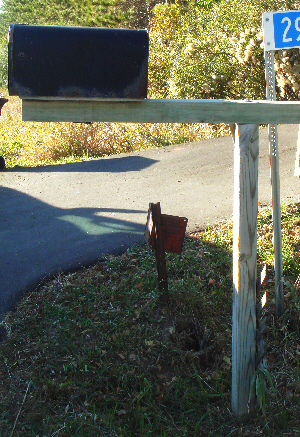 New road projects often require resident's mailbox supports to be removed from the roadway prior to the construction period. Our timely and affordable removal service ensures the resident's mailbox supports will be out of the construction zone by the time you're ready to start your project. 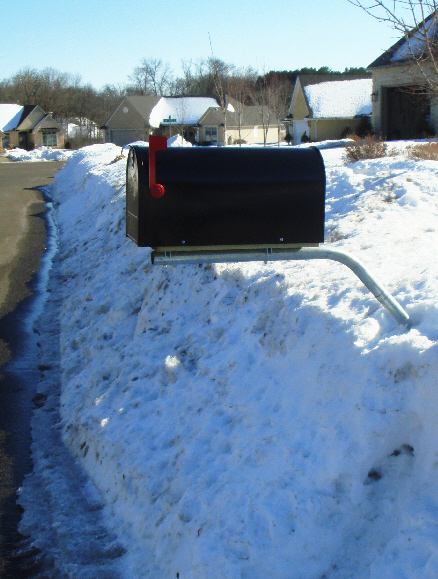 Our removal techniques and attention to detail ensure that the integrity of the resident's mailbox support remains intact, and that the support is re-installed in the previous location. Let our experience of dealing with resident's private property save you time, money and energy. 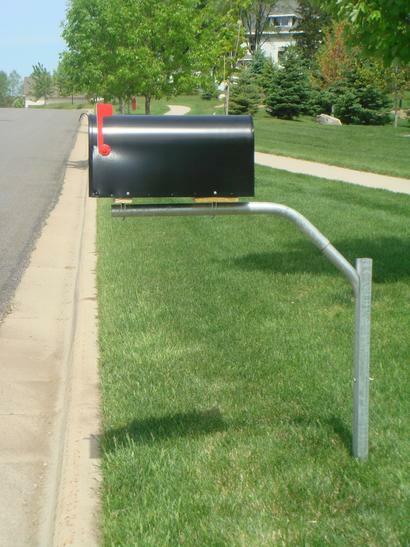 Before we pull the resident's existing mailbox supports, we often establish temporary locations for the resident's to pick up their mail outside the job site. 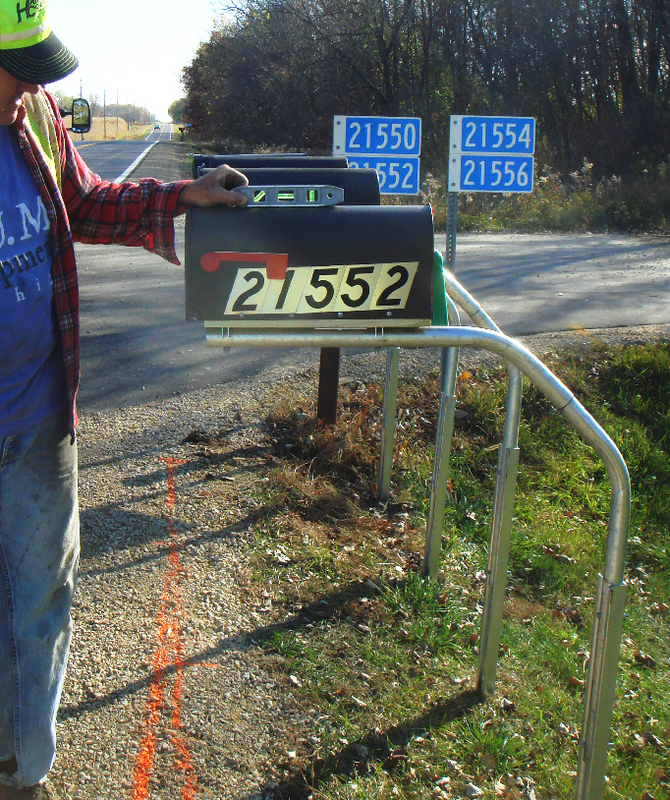 We work with the US Postal Service to establish proper delivery order and numbering on the temporary mailboxes. By delivering flyers to the residents, we save time and energy by explaining to the residents where they can pick up their mail during the construction period. 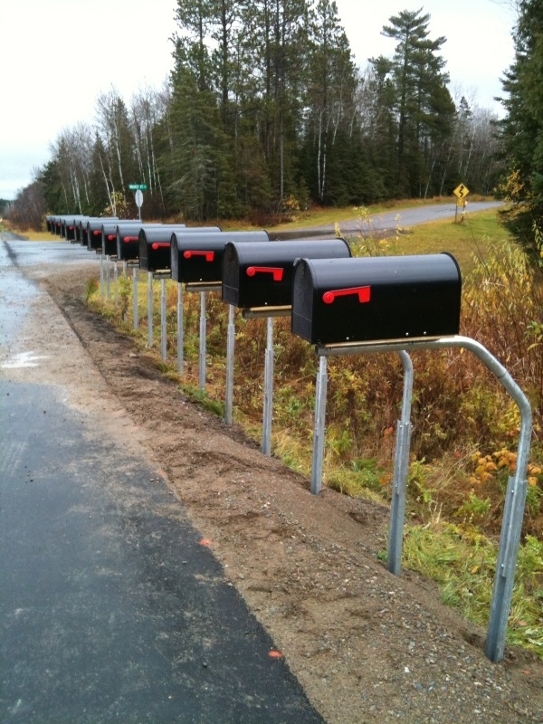 Our temporary mailbox supports are durable, safe, and aesthetically appealing. 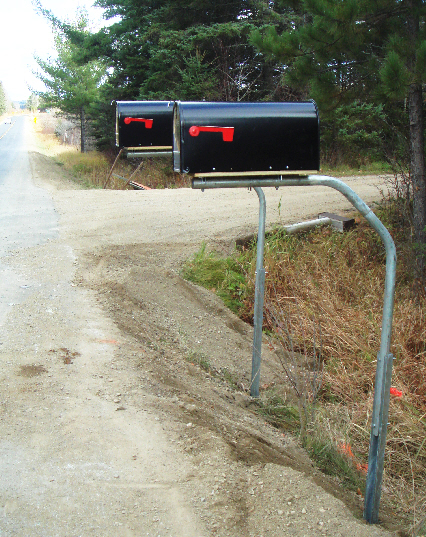 When the road construction is near completion, we'll install the resident's old mailbox support to meet the county, township, or project specifications. 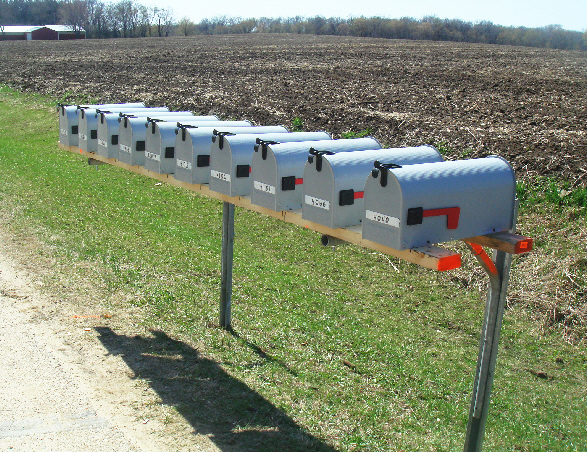 We work hard to ensure all deadlines are met and mailbox supports are installed properly. We work with the US Postal Service to ensure resident's don't miss a day of mail delivery. 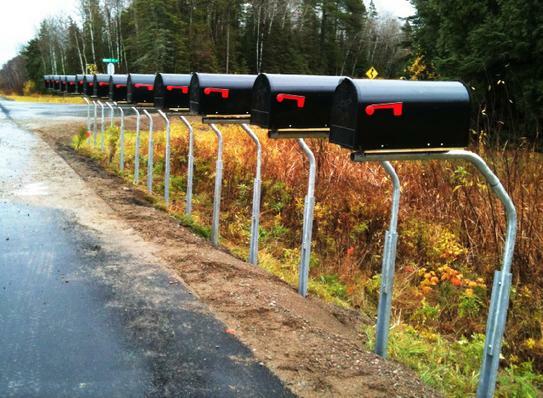 We build mailbox supports to meet nearly any project specifications. We can accomodate the project requirements whether it calls for any number of single mailbox supports or multiple mailbox supports. This option often requires a lead time before installation. Please contact us for a quote today. 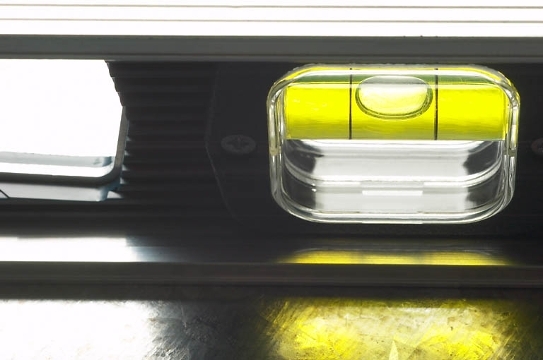 We specialize in installing our new swing-away mailbox supports that meet NCHRP 350 Crash Test requirements and Mn/DOT Standard Plate 9350A. 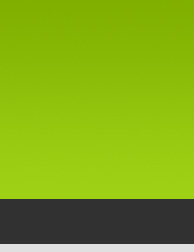 All supports are installed to meet township, county, or project specification requirements. We pride ourselves on our precision, accuracy, and commitment to quality installation. "Over 25 Years Experience. Over 40,000 Satisfied Customers"